I read this lovely post by Sam Tonge, and wanted to share it here – as it is very good and grounded advice. Something all writers and authors need to take on board. You have elevated Not Writing into an art form. You sit down to write… and then somehow you find yourself washing the windows, or watching unboxing videos on YouTube. The only thing that can actually motivate you to work is last minute panic — so you’ve become a master of the lightning fast rewrite. You can churn out ten pages the day of your deadline. You think that arriving anywhere early is an act of aggression, and you’re always changing plans so you can submit your work on-time, but you’re excellent when it comes to thinking on your feet and improvising (especially improvising excuses). If your writing time isn’t rigorously scheduled, it’s not going to happen. You’re an early riser who sets word count goals, takes regular snack breaks, and keeps track of pens. People think you’re naturally organised, but really, if you didn’t schedule things, your life would very quickly collapse into a vortex of chaos. You’re the friend who people rely on for getting to the airport, you keep a physical planner, you set timers, and lending out your good pens makes you anxious (you’ve been burned too many times before). You’re basically a vampire, if you replace all that bloodsucking with writing and eating dry Lucky Charms out of a mug. During the day you work a day job or sleep, but when the moon comes out you set up shop and write long into the night. 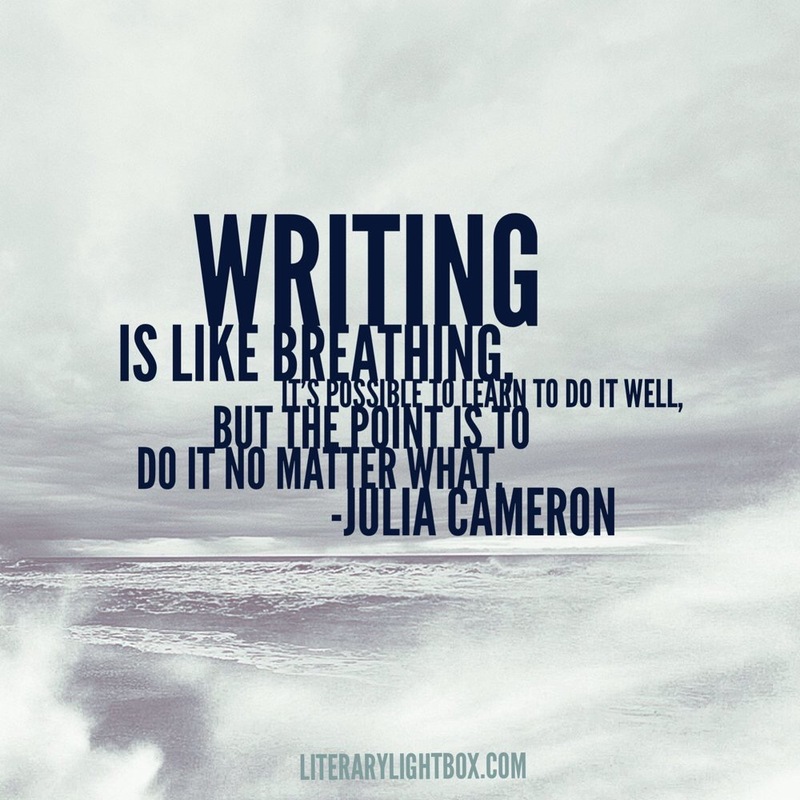 Or maybe you plan to stop writing at a reasonable hour, but you get caught up in your screenplay and/or suspense novel, and before you know it the birds are chirping. You’re passionate about your writing, but frequently tired, and you’re forever frustrated when friends won’t answer your texts at three in the morning. The dark cousin of the Note-Taker, the Plotter doesn’t write a word without several charts, outlines, and perhaps a binder full of paper on plotting. The Plotter approaches writing as a subset of engineering: in order to build something great, you first need several month’s worth of math. As a Plotter, you take a little extra time on big projects, and your friends don’t understand half of what you’re talking about. But your detail work is impeccable, your character backstories are extensive, and you throw the world’s best theme parties. You have an encyclopedic knowledge of Heian Era Japan and the history of conjoined twins in America, but you’re not quite sure how to fit it all into your Veep spec script. You live for the thrill of the research, frequently fall down Wikipedia wormholes, and you consider reading to be a form of writing (you’re absorbing material!). You sometimes overwhelm people with your enthusiasm and exhaustive knowledge of cat breeds/fencing/space travel, but you’re a killer at bar trivia. Writer’s Block is your constant nemesis. You make the time for writing… and spend it staring vacantly into space. You spend a lot of time “courting inspiration” by trying out various writing spots, music choices, and latte flavors, to see what gets your creative juices flowing. When the inspiration finally hits, though, you’re a writing machine. You also spend way too long looking at the menu at restaurants, trying to decide what you want, but you’re a great friend to talk to about emotions, because you understand frustration very, very well. You’re all about writing as much and as quickly as possible. You’re strategy is to throw absolutely everything at the wall and see what sticks. You’ll pare it down later. That’s what editing is for! You’d much rather hit that page count as soon as humanly possible, and worry about the finessing later. You’re not great at sitting still and you have no patience for meandering slice of life films. The opposite of the Speed Demon, you know that writing isn’t a race. You’ll put in one comma in the morning, go about your day, and take the comma out again that night. You’ve been working on your magnum opus for years now, because you know that great work takes time. You take font choices seriously. You’re thoughtful and methodical in everything that you do, and you never let anyone see your work until you have the description of every character’s hair colour precisely right. You write under the table during meetings. You have two novels and one play going at once. You’re always reading no fewer than three books at any given time. You can keep four or five online chats going at once, not to mention all those group texts. If you get blocked on one piece of writing, you just bounce on over to another (starting things is a no brainer, but finishing them is a tad harder). You drink a lot of coffee and sometimes have to be reminded to eat. You live for the feedback. Giving it, getting it, either way — you like having a writing workshop group to force you to actually sit down and write. You never know what to do with a finished piece of writing until an incisive piece of feedback slaps you in the face. You regularly outsource your outfit choices to friends, you send detailed reports on first dates, and you’re always trying to trick people to come to coffee shops with you and make you write. You don’t talk about writing. You don’t share your writing. You only write in total solitude, preferably in some sort of cavern or attic. You’re kind of hoping that you can become a wildly successful novelist without ever letting anyone read what you’ve written but you understand that might be difficult. You don’t like social media or workshop groups, but you do kind of like the dual identity thing you have going on, because you’re basically the Batman of writing. The term ‘aspiring author’/’aspiring writer’ is thrown about in literary circles without anyone giving it so much as a second thought. It certainly seems like a harmless enough phrase. You’ve no doubt used it yourself, I certainly have. But harmless as it may seem, the term ‘aspiring writer’ is actually quite problematic, and could even be holding you back in your writing career. So the sooner you quit employing the phrase, the better. By describing yourself as an ‘aspiring writer’, you are essentially stating ‘I am not a writer now, but I would like to be one at some vague point in the future’. In doing this, you are reinforcing the notion in your head that all your writing efforts – all your physical, and actual hard work in pursuing your dreams – all lie beyond the present moment. Think of all the times you have described yourself as an ‘aspiring writer’. How often have you employed the term out of a lack of confidence or self-belief? Because you didn’t feel ‘qualified’ to call yourself a writer. But even if this is not the case, the term itself could be eating away at your self-esteem, without you even realising it. In this way, when you use this term to describe yourself, you nurture the subconscious belief that your goal of becoming a writer will always lie just beyond your grasp – just out of reach. Such a belief is extremely demotivating, and can thus undermine your self-esteem. So the next time you need to explain to anyone ‘what you do’, don’t shy away and hide. Have confidence in your abilities, and never refer to yourself as an ‘aspiring writer’ ever again. You are a writer. Period. Call Yourself A Writer – Right Now! When is it the right time to call yourself a writer? Anyone can call themselves a writer, but let’s say you’re serious in that you try to write regularly, and possibly submit work. You’re probably unpublished. So now’s the time to practice telling people when they ask what you do, that you’re a writer.